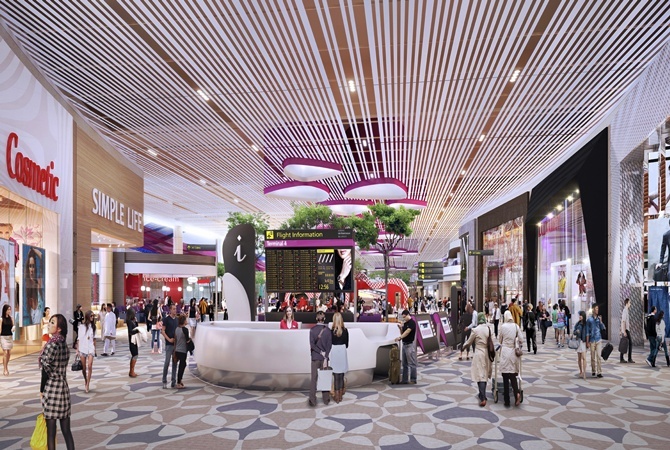 Singapore’s Changi Airport which has been ranked as the world’s best airport over the years will open its fourth terminal in 2017. 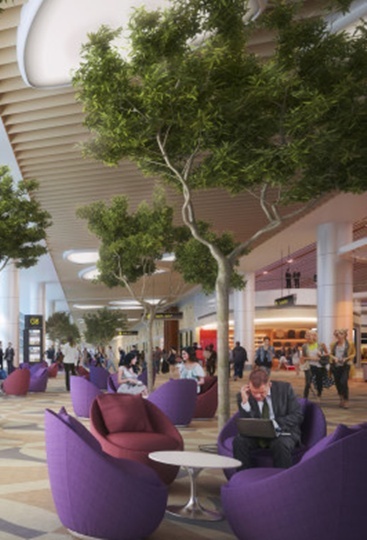 With three terminals, it caters to over 100 airlines connecting 280 cities worldwide. The world's fifth busiest airport saw a record 53.7 million passengers in 2013. 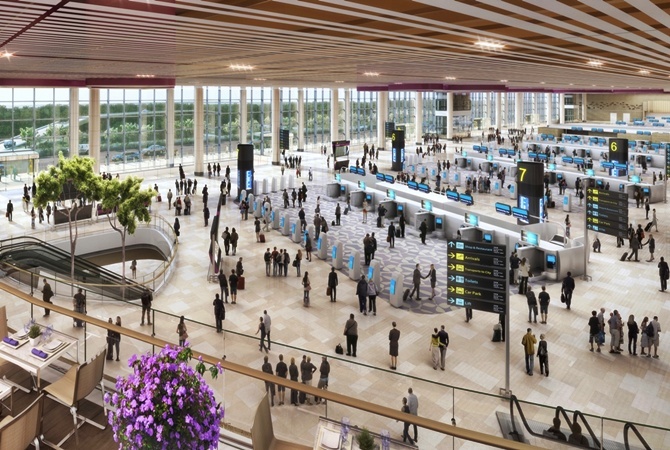 Changi Airport handles about 6,800 flights every week, about one every 90 seconds. 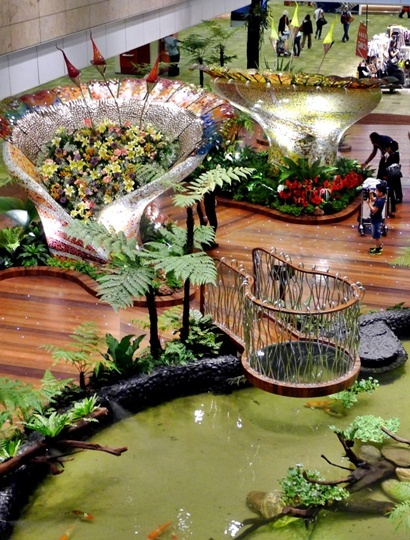 Image: Garden inside the airport has more than 1,000 plants of 50 different species and holds a 22,000-litre pond. 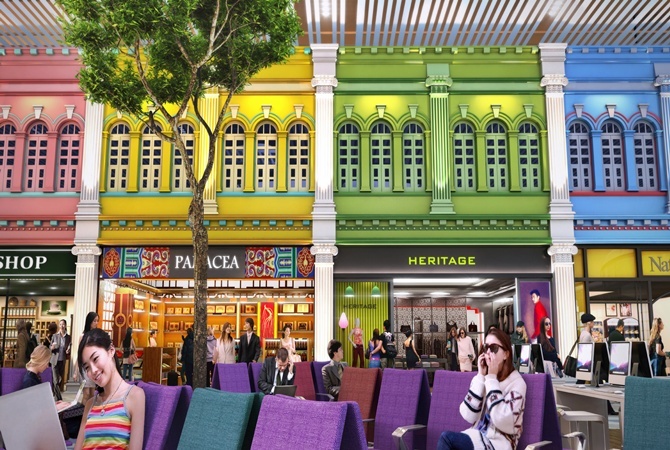 Offering a hassle-free experience, the grand airport terminal will offer self-service and automated options at check-in, bag drop, immigration clearance and departure-gate boarding. Passengers can choose to check-in at their own convenience before their flights without waiting in queues at any time. T4 is designed to cater to both regional full-service and low-cost carriers. It will be built to handle both narrow and wide-body aircraft. 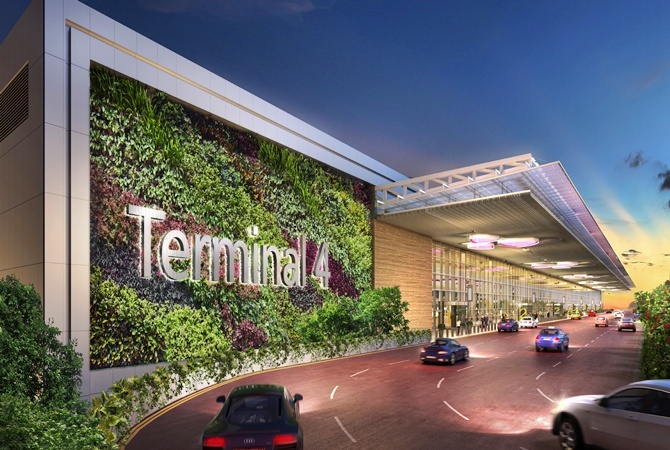 T4 is located at the site of the former Budget Terminal, about two kilometres away from Changi Airport’s three main terminals. The Budget Terminal stopped operations in September 2012, and was demolished to build the huge terminal T4. 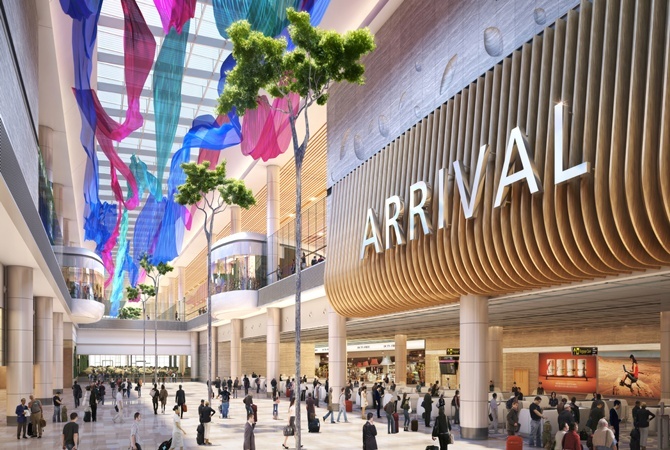 Image: Shops in the departure transit lounge. 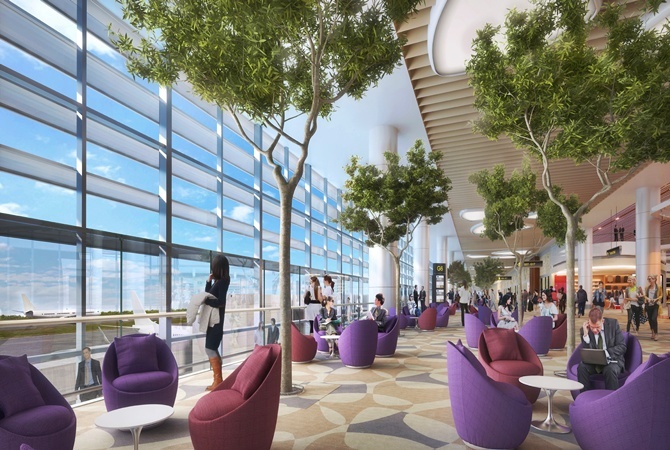 T4 will be a two-storey building at a height of 25 metres. It will be spread across an area of about 195,000 sqm or about 27 football pitches.